Browse our collection of portfolio galleries to see more examples of our lead-safe work. If you have a home that was built before 1978, there’s a chance that there was lead-based paint used somewhere on it. 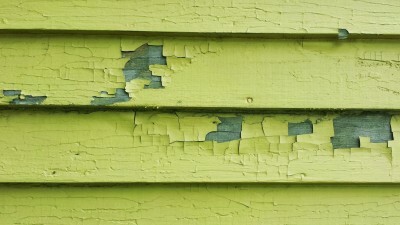 The older the house, the more likely it is that you will have a lead paint risk to deal with. We strongly recommend hiring a certified lead inspector to test your home if it was built within the last 50-60 years and store-bought lead test kits turn up negative results for you. If this is the case, you could have your home certified as lead-free, and would not have to follow any of the new rules on working with lead-contaminated structures. However if you have not done the testing, pre ’78 homes must be considered potential lead exposure risks and a special set of procedures and regulations kick into effect. We at Green Mountain Painters are fully lead-certified, are experts at following the rules, and have developed the tools & methods to get your job done efficiently despite the complex and critical regulations in place. You can rest easy knowing that your family will be safe and protected from the risk of lead exposure while we produce an industry-leading stabilized substrate paint job that will beautify your home and provide long-lasting protection for years to come. Hygenic facilities (washing stations) must be provided at entrance/exit of lead zones. If you have any questions or concerns regarding your lead-safe painting project, the rules & regulations that apply, or what your obligation as a home/property owner are, please don’t hesitate to reach out to Green Mountain Painters for guidance and/or a free Estimate & Consultation.